NFC (Near Field Communications) technology is becoming more popular, Google recently launched their new NFC based payment system, Google Wallet, and now it would appear that Yale, the company well know for making door locks intends to use NFC technology in future door locks. 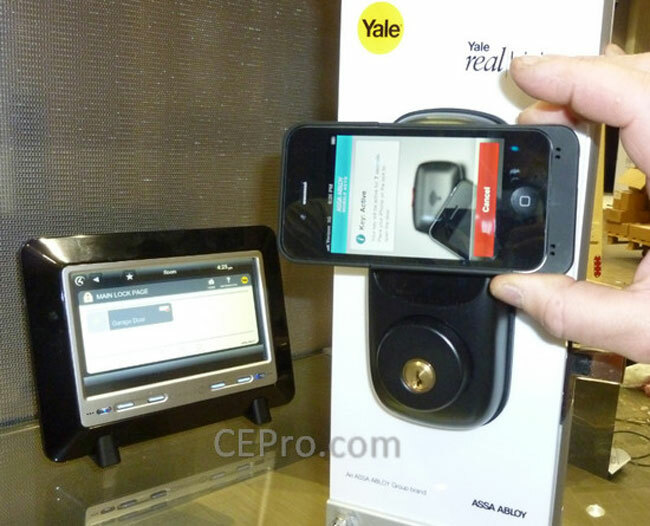 Yale have shown off an NFC enabled door lock at the CEDIA Expo 2011, and the door can be locked and unlocked by holding your smartphone up to the door. According to Yale the technology is very simple and no back end system is needed, just the lock and your smartphone, we wonder how long it will be before we see this technology in our homes.